You have so many ways to combine this fresh salad with cheese, yogurt or some cheesy stuff. 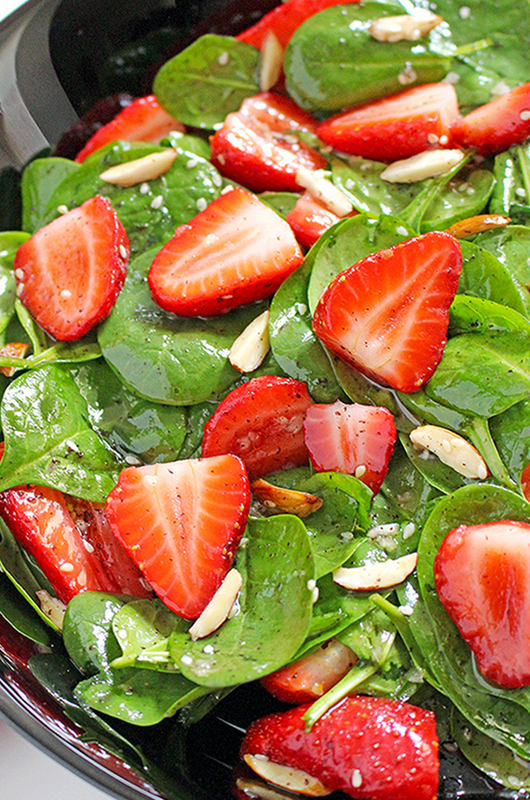 Sweeten up your life with this delicious Strawberry Spinach Almond Salad. Sweetness taste of salad is a great way to convince kids to eat spinach with fresh and juicy strawberries. To be a strong as Popeye the sailor 🙂 When I made it for the first time, my husband was delighted with this healthy salad. And since then its regularly on our menu. Someone who is not a fun of spinach, with this combo of flavors certainly will love this super food. The nutrition facts of this salad are well-known. 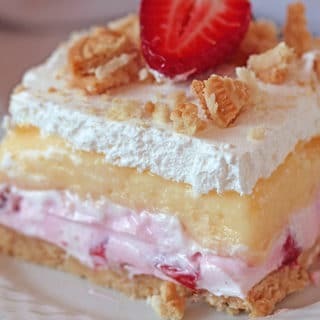 When you look at market you will know that it strawberry season for sure, so your daily menu will contain something strawberry, I bet.. 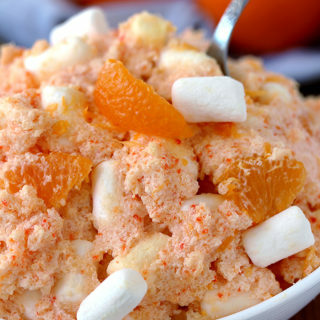 So refreshing for this spring/summer days, with lots of vitamins and minerals. Quick and Easy Strawberry Spinach Almond Salad a great refreshing salad for these spring/summer days.. 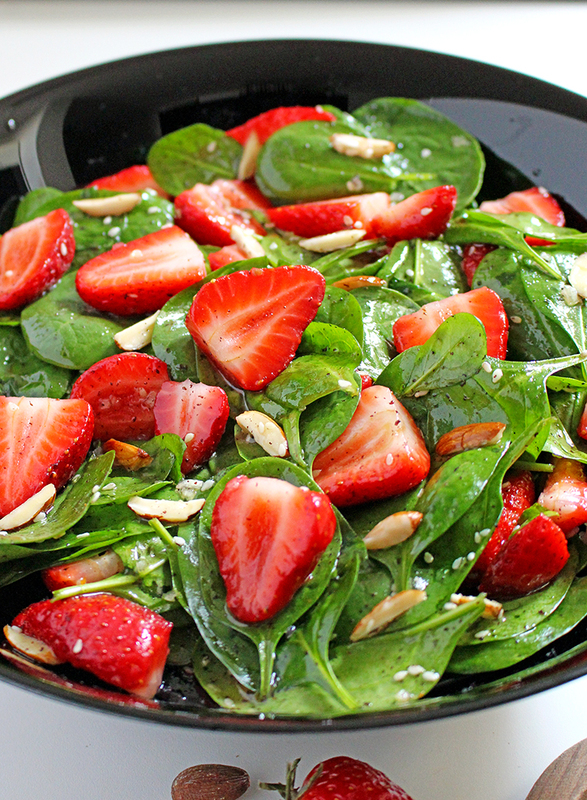 Mix the spinach and strawberries, in the large bowl. Combine the sesame, chia seed and poppy seeds, chopped almonds, white wine vinegar, vegetable oil, sugar (honey), paprika and minced onion in medium bowl. 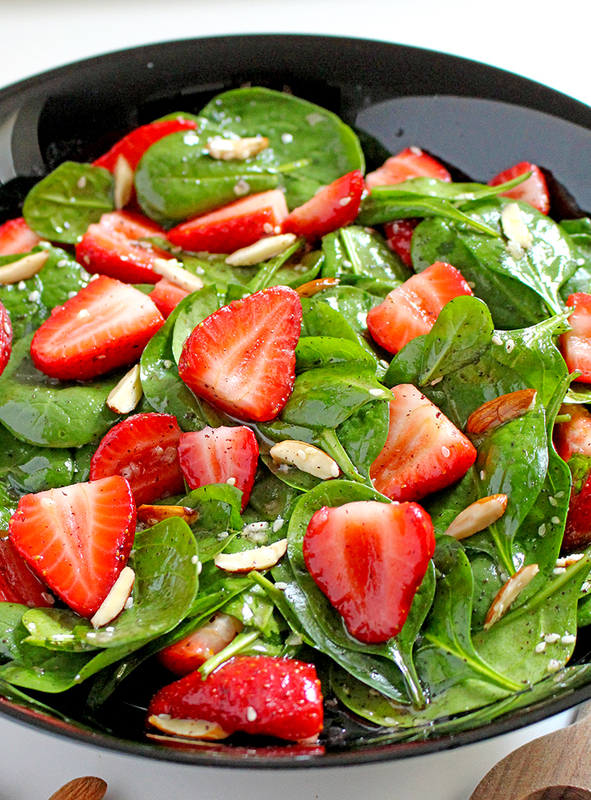 Pour into large bowl over the spinach and strawberries and mix together. What is 1/6-1/7 honey? Is that tablespoons or cups? 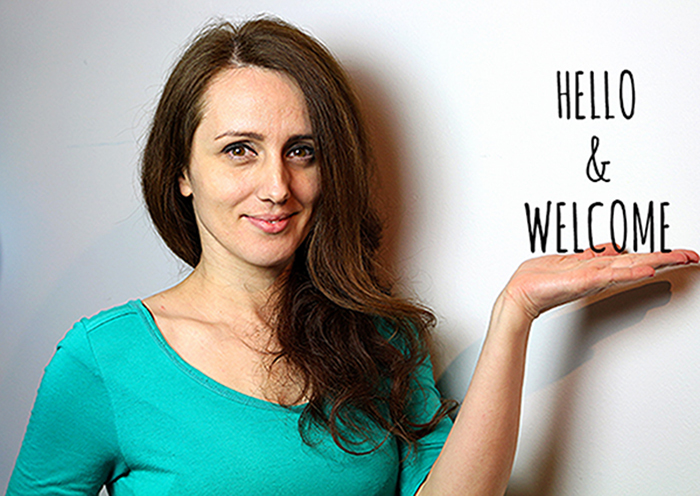 Thank you for your observassion. 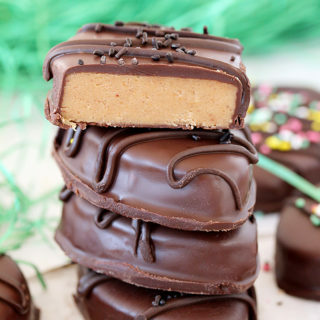 I used 1/6 cup of raw honey.